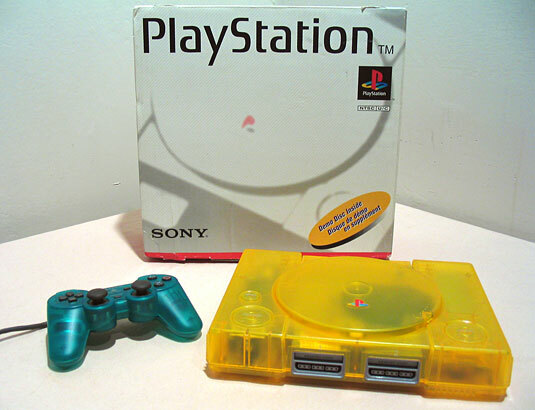 Here’s my tricked-out yellow PlayStation (I’ve got a thing for nasty yellow game systems, I guess) – no, it’s not in “original” condition, but I’m not too concerned about that. There are around 50 million of these things in the world and if I ever want to preserve the original system I’m confident I won’t have much of a problem finding another one. I actually replaced the case on this while it was still a current system. I like it better this way – grey consoles never did anything for me. I don’t know when the “bland is better” mentality first gripped the console design community (if there is such a thing), but I decided to put a stop to it with this case replacement. I do believe this is probably one of the only surviving PlayStations in this color – a quick Ebay search for “orange PlayStation” or “yellow PlayStation” turns up zero results. Yeah, this is an old PlayStation. No Dual Shock! Still works great, though. 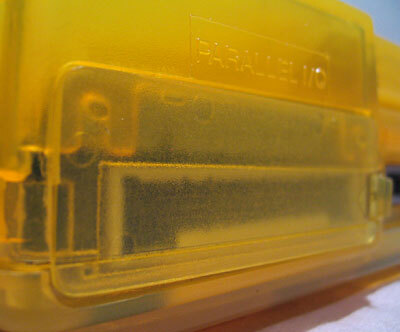 Second, it’s not only one of the older and now less-common models with the parallel port (for use with “game enhancers” like the Pro Action Replay – Sony banished this port in later models for that reason), my replacement case actually came with a cover for it (some didn’t) and I’m probably one of the few people in the world that didn’t lose it! Most people with these replacement cases just have a little hole there, which obviously doesn’t look very good. 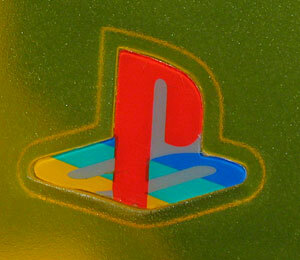 It ain’t a real PlayStation without the PS logo. 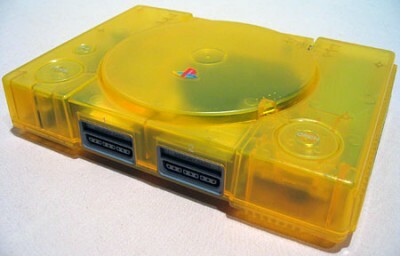 Unlike the PS2, I have many fond memories playing the PS1. It sort of bothers me that the PS2 is backward compatible, because it renders the previous console useless/worthless, and it has actually slightly tarnished my love for the PS1. I agree with Appule. I have a few Playstations and can never find reasons to play them. This is partially due to the fact that I don’t have a lot of games for it (I didn’t have any Playstation of sorts until the PS2). Even still, it’s kind of sad that they, and most of the other Playstations out there, will never see much use again. Of course, this doesn’t mean that if I got a PS3 it’d be anything but one of the backwards-compatible ones. It’s hypocrisy, but I just don’t want one without it. At least my PS2 could still live, it’s fliptop modded. I have one of these too! The story with mine is that it was an original, won in a Pro SnowBoarding competition by a longtime friend of mine, no modding/case replacement was done! I wonder what the $ell Price would be? 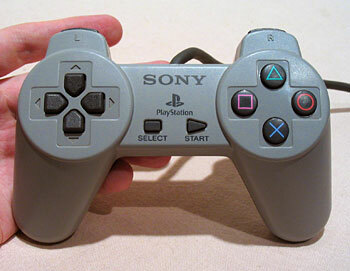 Why doesn’t the original controller have any joysticks? How do you use it? I realize this comment is quite old but I may as well answer. Gamepads like the NES/SNES/Genesis pads were still common in the early 32 bit days. Both the Saturn and PS1 used digital gamepads initially. Nobody really knew how 3D was going to work, but it turned out that an analog stick really helped. 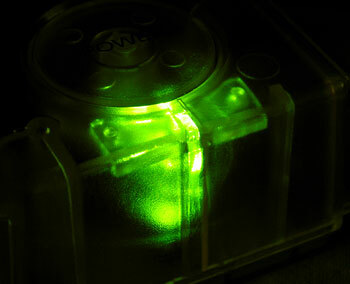 Sony was pushed by the N64 to add sticks to the PS1 pad.